These hooks are practical and fun. They are designed to be screwed onto a vertical surface and are strong enough to support coats or towels or cups - but not a bucketful of stones. They are waxed bare-metal. If you left them outside or in a damp place they would start rusting, but they are fine in an ordinary house. If you want to paint them, then it might be a good idea to wash the wax off first in hot soapy water. I try to get rid of any sharp edges - but there's a slight chance that I missed one. So be careful? 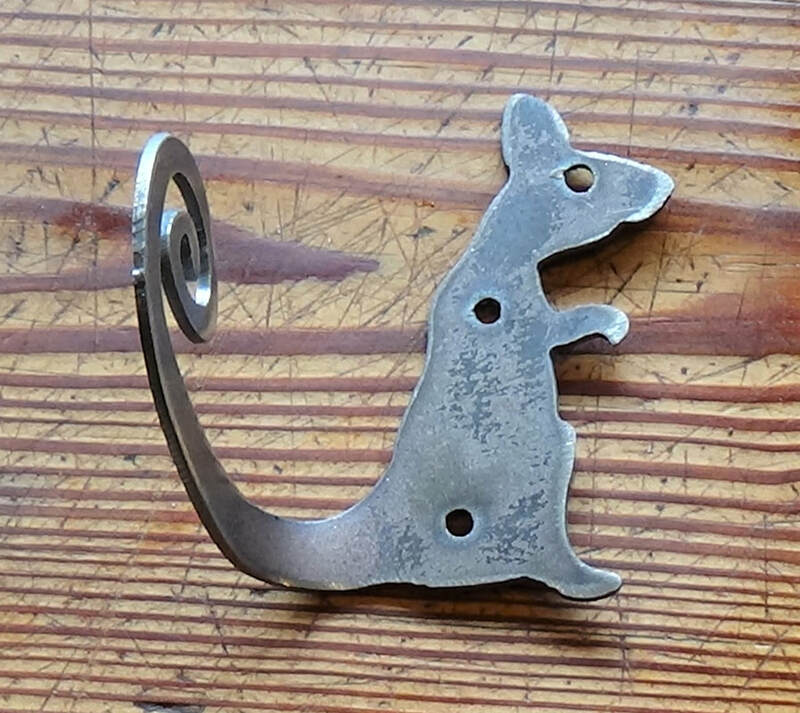 These little mice are about 10cm (4") long - but there are a couple of different designs so I can't be too specific. They are made for hanging towels/coats on. 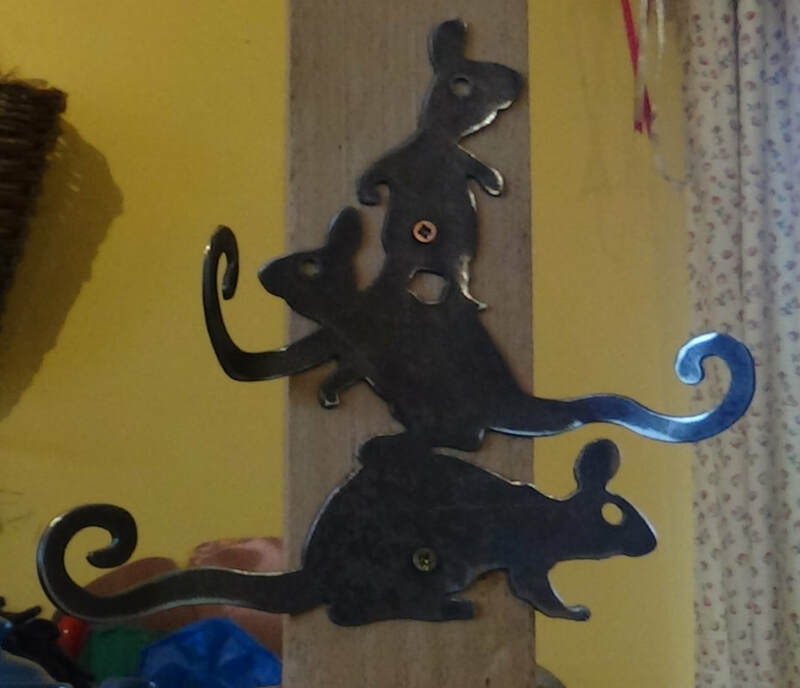 These four mice are made for cups. They can be screwed to the front of a shelf. They measure about 35cm (14") long.. These ones are for coats or towels! The options appear in the drop-down menu below.